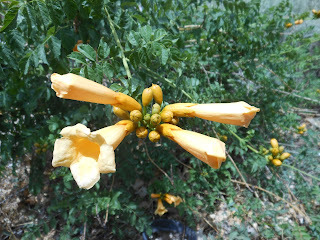 Yellow Flowered Trumpet Vine (Campsis radicans ‘Flava’) is less commonly planted than the red or orange flowered varieties. 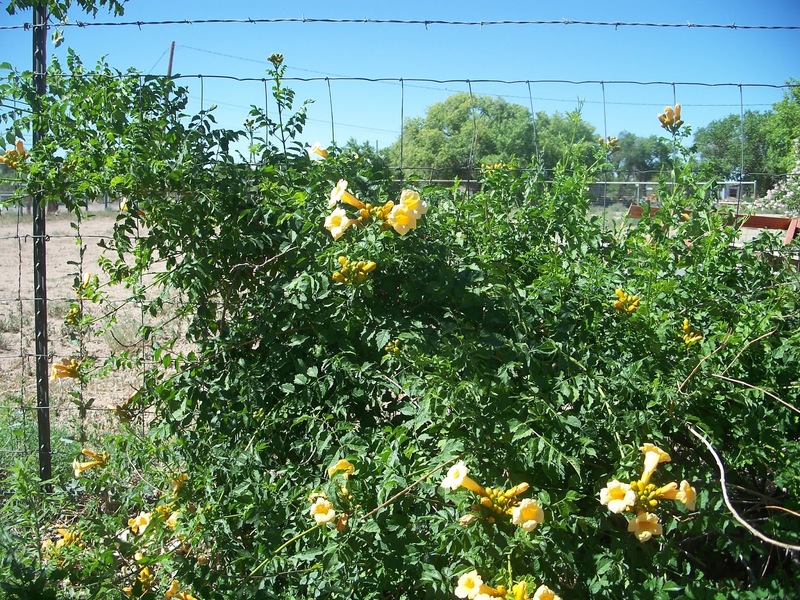 Be the first in your neighborhood to grow this almost rare trumpet vine variety. It is a vigorous grower that produces large trumpet shaped flowers that are attractive to hummingbirds. Provide trumpet vines with some sort of climbing support like an arbor, wire trellis, pipe fence, wall, or a pole. It can cover such supports with beautiful green foliage and yellow flowers in a short time. Usual care consists of late winter pruning to control size. 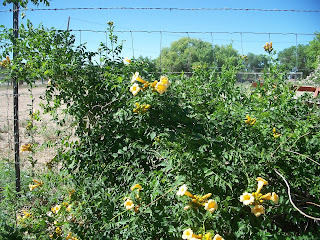 Trumpet vines are best grown with low to regular water and are hardy to USDA zone 4. The Nursery has Yellow Flowered Trumpet Vines available in 5 gallon containers.